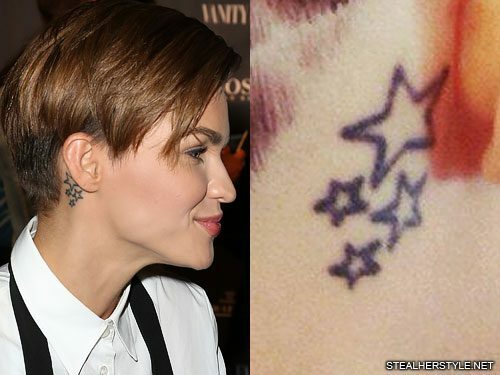 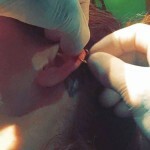 Ruby Rose has a cluster of four stars tattooed behind her right ear. 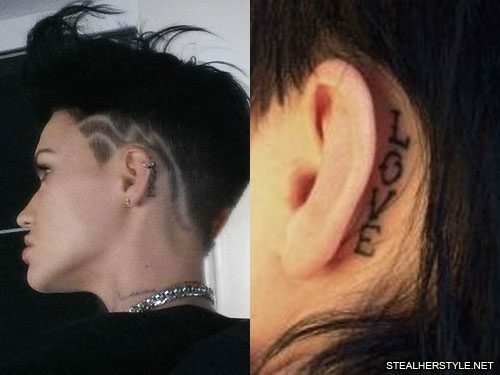 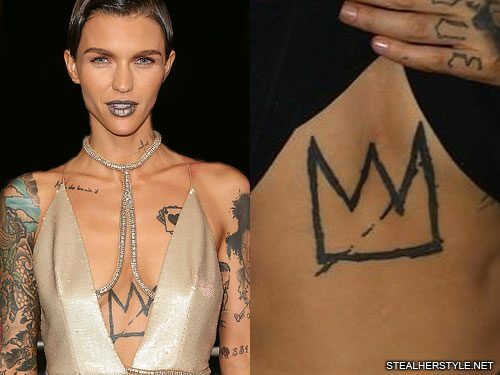 Ruby Rose has a tattoo on her sternum of the cartoonish crown design from the works of street artist Jean-Michel Basquiat. 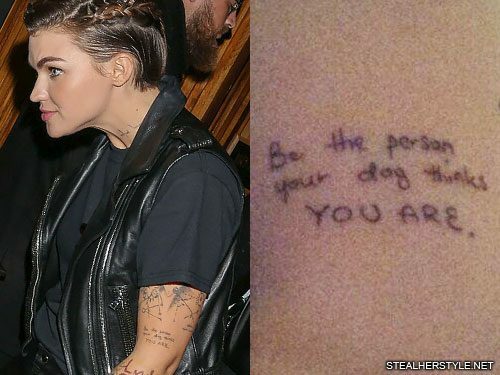 This tattoo, which she got in July 2013, is her first of two tributes to the deceased graffiti artist. 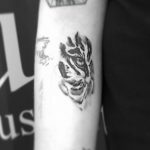 She later added a huge portrait of Basquiat on her upper arm. 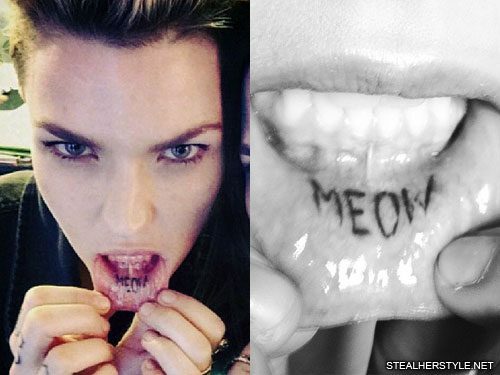 Ruby has been the face of Maybelline cosmetics in her native Australia since 2010. 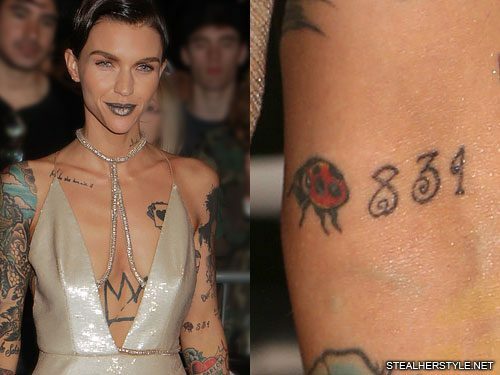 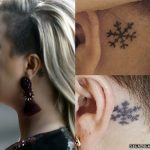 She has commended the brand for selecting a tattooed and androgynous person like herself to be the face of a traditionally feminine brand. 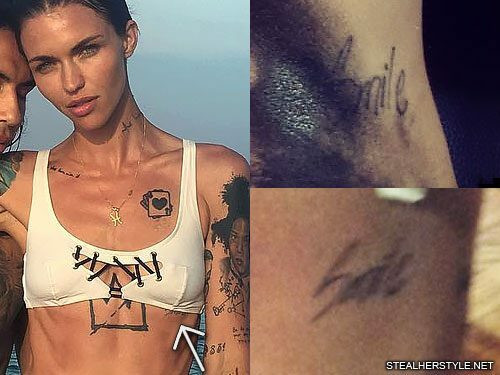 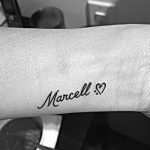 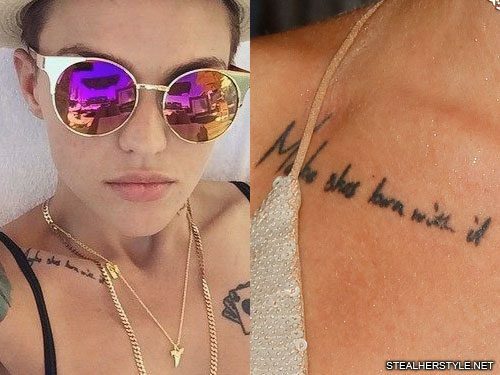 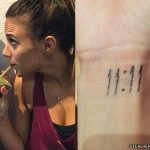 “4 years ago @maybelline @mnyau took a big risk and chose a tattooed rock chick to be the face of their iconic brand,” she wrote on her instagram when she got the tattoo done in March 2014.